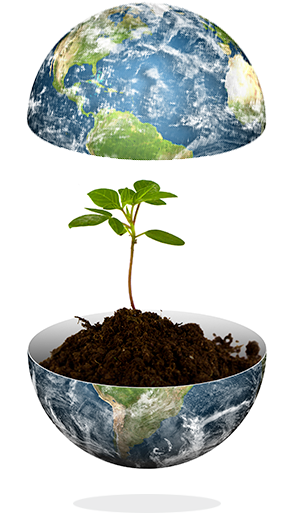 With QuickCarbon, carbon emission management and reporting is now much easier. Why should businesses manage carbon emissions? Increased awareness of Global Warming has led to the need for corporations to calculate and report greenhouse gas emissions. In many countries there are carbon emission limits and mandatory reduction targets. Would you like to integrate carbon emissions management effortlessly into your existing workflows? 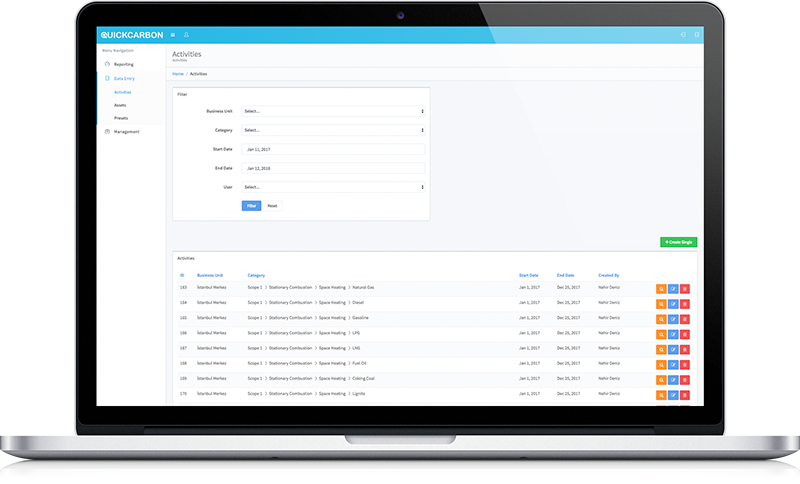 QuickCarbon integrates into your existing business units with a very user-friendly and easy-to-use structure. You can easily make your corporate emissions calculations, analyze your emission sources and report them in accordance with international standards. QuickCarbon is a comprehensive solution that enables companies to track, forecast and manage greenhouse gas emissions. 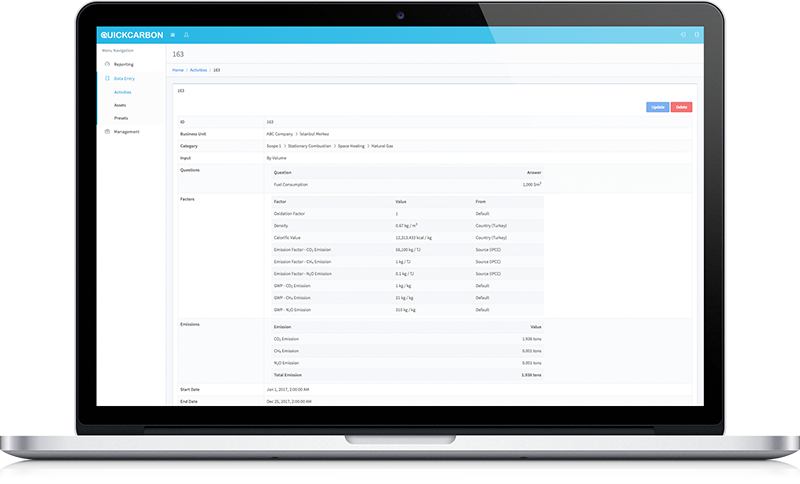 QuickCarbon can be easily and effortlessly integrated into your business workflow. It is user friendly design makes it easy to learn and use. Provides secure data management via password protection for different users. Collect data from multiple sources, and calculate Scope 1, 2, and 3 emissions data. Drill down through graphs to view and analyze relevant data instantly. Industry best practice report templates for ISO 14064, GHG Protocoal and CDP are instantly available. Engage colleagues with access to only meters, buildings and targets that they are responsible for. Make sure that the data obtained is correct with the data validation system. Data can be transferred to/from spreadsheet files to save you time and resources. 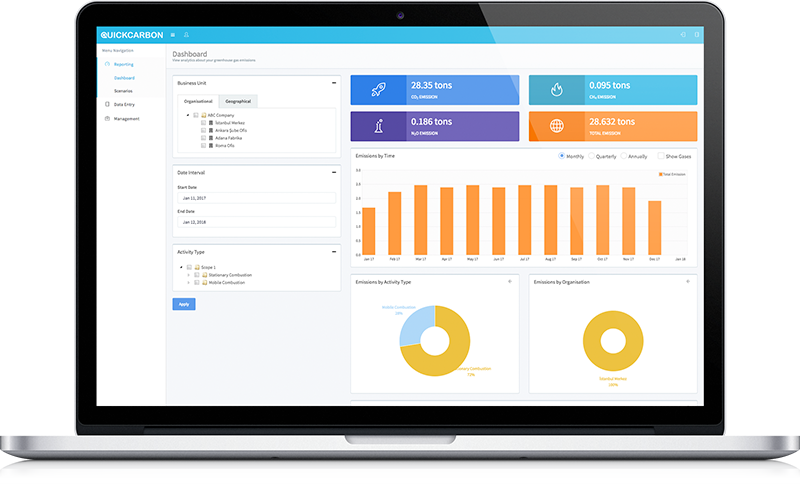 QuickCarbon provides simplicity and many benefits to your enterprise for the process of calculating and reporting carbon footprint in accordance to international standards. It is a simple solution for carbon management and reporting needs. Software created based on years of industry experience. Calculate and consolidate your GHG emissions at any level of your organization. Can be accessed from any computer with a modern internet browser. Makes the process easy for validators and data collectors. Altensis’ engineers and consultants will guide your business through the whole process and are readily available if support is needed. Some of QuickCarbon's easy-to-use screens can be found below. You can immediately create a free account to see more. QuickCarbon's transparent pricing policy will meet the needs of all large and small businesses and institutions. In the table, you can access feature descriptions by clicking the "?" symbol. If you are managing carbon emissions for a very large business or municipality, please contact us directly for special pricing. Max # of Data Entries ? Max # of Subsidiaries ? Max # of Users ? Max # of Business Units ? Reporting in ISO Standard ? Bulk Data Upload Feature ? Data Source Audit Feature ? Max # of Subsidiaries ? 3 ! QuickCarbon is a web-based carbon footprint calculator and carbon management software that provides comprehensive and affordable carbon accounting and management solutions. It helps organizations of all levels to measure, track, report and manage their carbon footprints. Usually, all greenhouse gases are expressed as carbon dioxide equivalents (CO2e) and typically measured in kilograms or tonnes (kgCO2e or tCO2e). Why should my business be concerned with calculating/reducing its carbon print? Looking forward, businesses will encounter significantly increased pressure to reduce their contribution to climate change. Some of the anticipated issues and risks influencing businesses include more stringent regulatory requirements, government commitments, rising operational costs and shifting consumer values. Many businesses will likely experience a greater degree of scrutiny over their carbon footprint and will need to develop carbon accounting and management policies and strategies to remain competitive in the marketplace. What do I get from using QuickCarbon? 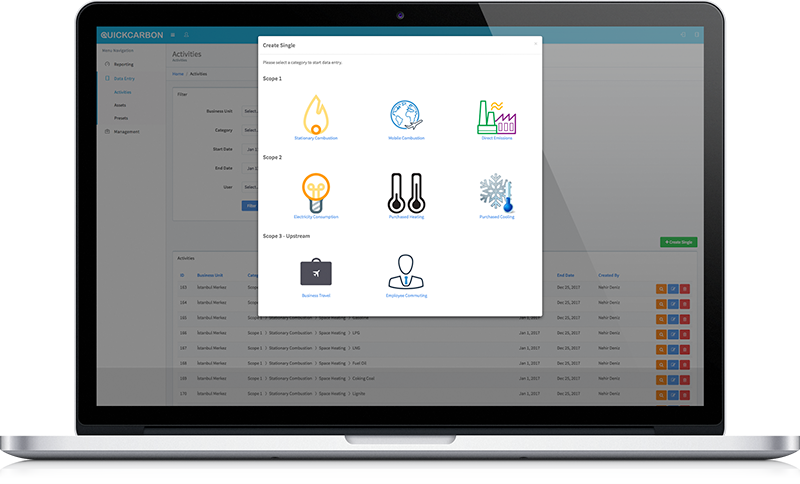 QuickCarbon users get access to an easy-to-use, comprehensive tool set to measure, track, report and manage their organization’s greenhouse gas inventory in a secure web environment. Users with very basic information about greenhouse gas calculation standards can easily calculate their corporate emissions without researching calculations methodologies, relevant emission factors or activity coefficients and/or using a GHG consultant. Using Quickcarbon saves tremendous amount of time and money for an organization that reports its GHG emissions data every year. Click here for a full list of benefits. Is QuickCarbon based on international GHG accounting standards? Yes. QuickCarbon uses the accounting guidelines of “The Greenhouse Gas Protocol” published by the World Resources Institute and the World Business Council for Sustainable Development. This Protocol is the international accounting tool most widely used by government and business leaders. Do I need to be an expert on greenhouse gasses to calculate my organization’s carbon footprint? Not at all. GHG emission factors are built into QuickCarbon which does all of the calculations for you. However, basic understanding of GHG protocol and ISO 14064 standard allows you to set your organizational boundaries correctly, so that your reports are in accordance with international accounting standards. Therefore, we suggest you get yourself familiar on a basic level with these commonly used standards. What data sources does QuickCarbon use? All data used in QuickCarbon are based on credible, published sources, including the Intergovernmental Panel on Climate Change (IPCC), Environment Canada, U.S. Environmental Protection Agency (EPA), and U.K. Department for Environment, Food and Rural Affairs (DEFRA) along with other national authorities relevant for each country. Each year, we undertake a thorough review of all data sources to update QuickCarbon with the most current information available. Do we have to install software or hardware to use QuickCarbon? No, you do not need to install software or hardware. QuickCarbon is web based product. If it is all web-based, are there security issues?? If I need extra help, can I get it? QuickCarbon is very straight forward and easy to capture and use. If you require customized support, QuickCarbon’s team of experts can provide you with the assistance you need. Just call us or drop us an email explaining your problem and we will get back to you as soon as possible. Which countries are supported in QuickCarbon emission database? QuickCarbon is based on international emission factor databases such as IPCC, DEFRA, IEA, and more. Therefore, it can be used in any country that these agencies cover. However, our team of experts continuously enhance our emissions databased with local factors. Nevertheless, there can be local emission factor that are not yet included in our database so if there is a specific factor that you would like to use in your calculations please send us an email and we will add it on demand. Can I create multiple users in QuickCarbon? 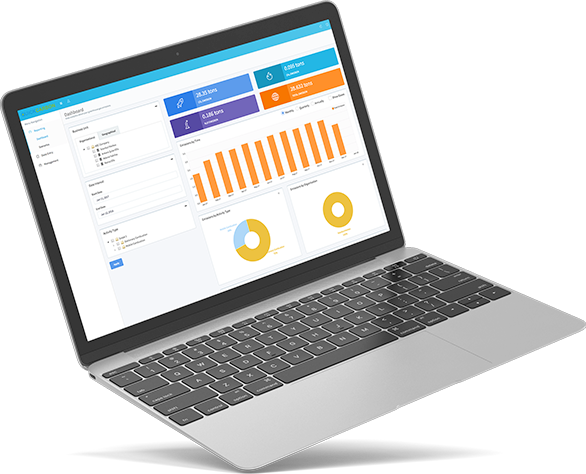 Except the free version you can provide varying levels of access for multiple users to access QuickCarbon from different business units or departments. Can I set reduction goals for my emissions? Yes, you can set your own targets (Key Performance Indicators) based on custom Functional Units such as Emissions per Employee, per Production Units, per Revenue, etc. 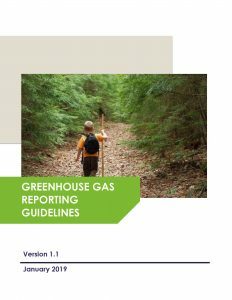 Fill in the form below to get your free copy of our Greenhouse Gas Reporting Guideline. It is a step-by-step resource guide to kickstart your GHG accounting.